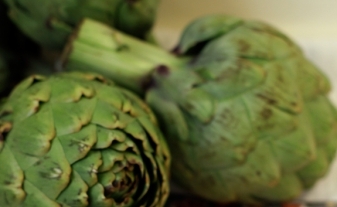 Drain marinade from one jar of artichokes into frying pan. Drain other jar. 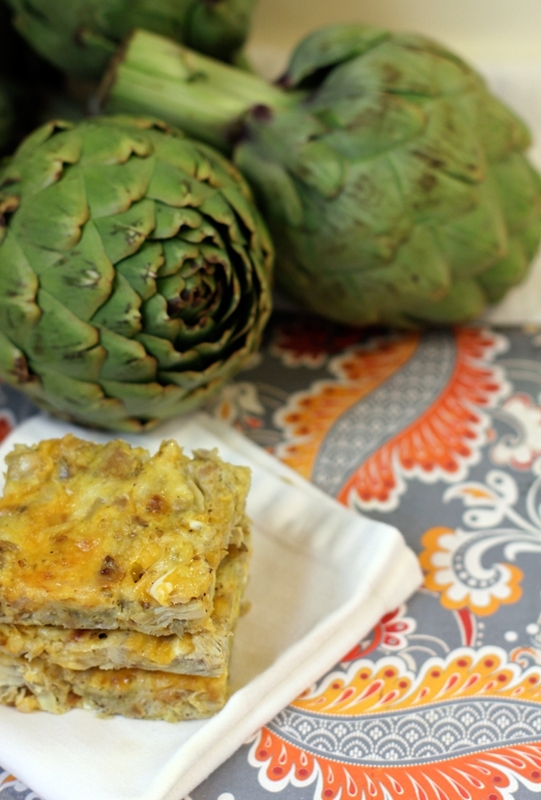 Chop all artichokes and set aside. Add onion and garlic to frying pan and sauté till limp (about 5 minutes). Add bread crumbs and seasonings to pan, let cool. In a bowl, stir together cheese, parsley, artichoke, eggs, and cooled onion mixture. Turn into greased 8 x 8 pan. Bake 30 minutes in 325 degree oven. Cut into squares.